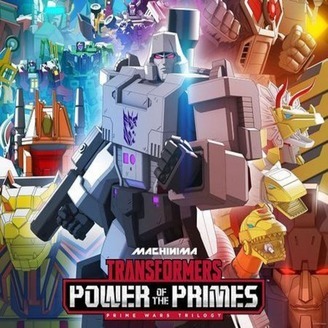 Podcast coveringTransformers: Titans Returnon the Go90 app with your host Brian fromPop Culture Leftoverspodcast and Daniel fromSomething Something Nostalgiapodcast. Transformers continues the story fromTransformers: Combiner Wars...Picking up right where the destruction of theCombiner Warsleft off,TITANS RETURNtakes the action of thePrime Wars Trilogyto new ‘heights,’ and features return appearances from many fan-favorite Transformers characters as well as introduces new Autobots and Decepticons. In the series, enormous Transformers called Titans are awakened and these massive characters bring massive problems. Trypticon, a gigantic lizard-like Transformer, rises to wreak havoc on Cybertron, while Windblade and a rag-tag team of Transformers must resurrect an ancient ally. Not all Transformers will survive, as beloved heroes are changed forever while others’ sparks are blown to oblivion. Like Combiner Wars, sophisticated storytelling reveals more than meets the eye for older audiences and kids of all ages when a sinister secret is discovered.EMAIL: transformerstitansreturn@gmail.com. Heroes, villains, and the Prime Wars Trilogy itself all meet their end. 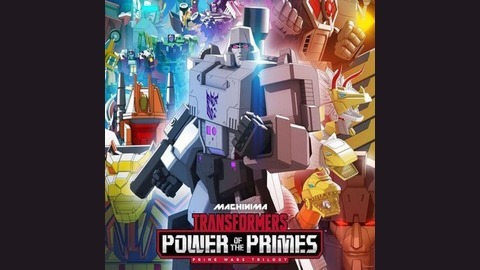 Transformers - Brian from Pop Culture Leftovers and Number One Comic Books is joined by Daniel Hoeppner from Something Something Nostalgia to talk about the finanl episode of Transformers: Power of the Primes "Saga's End"